The Labor Day weekend and the week preceding it were very busy in Cleveland as the U.S. Navy anchored along Lake Erie to offer residents and visitors a peak into what life is like for Sailors. 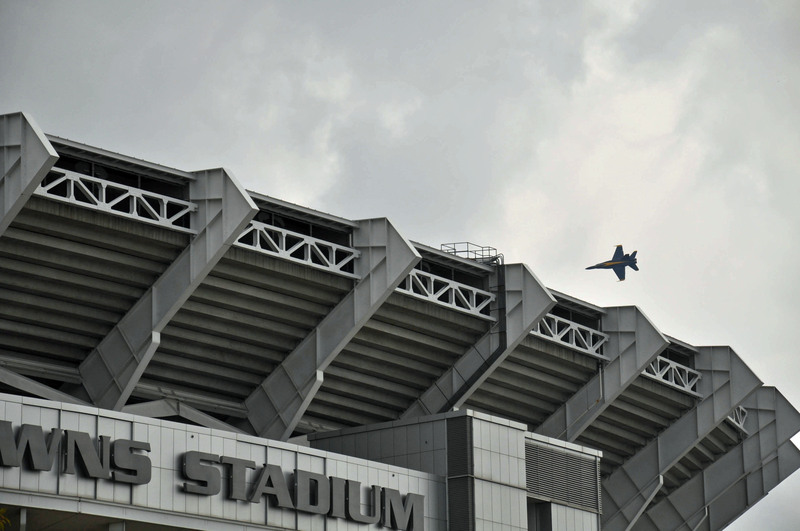 A Blue Angel does a fly-over Cleveland Browns Stadium – Cool isn’t it! The Week was held in conjunction with the Bicentennial of the War of 1812, which was only fitting if you recall the Battle of Lake Erie and around these parts there are a number of landmarks to remember Commodore Oliver Hazard Perry who led the naval victory. 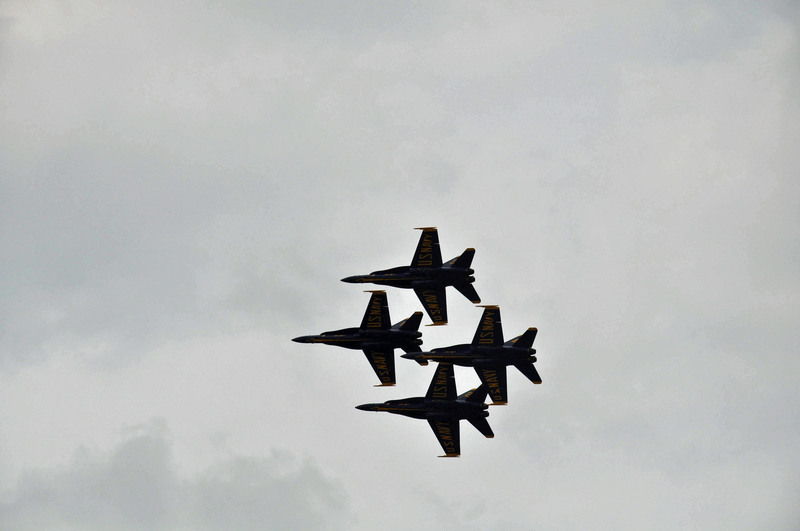 Navy Blue Angels in formation over the skies of Cleveland. Over the next several weeks, I’ll feature photos from that action packed week in this space. Today I thought I’d share the first video I created with my camera and a couple of shots of the Blue Angels, however because of space limitations I can’t embed, but you can see it here.